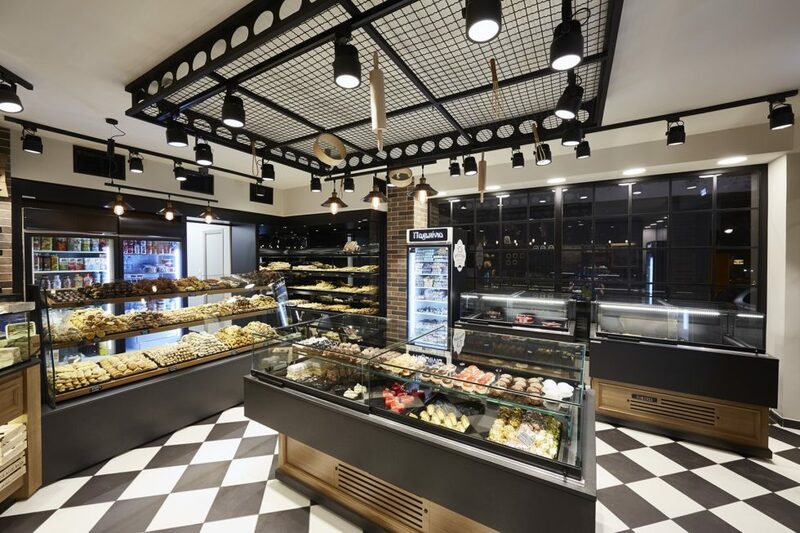 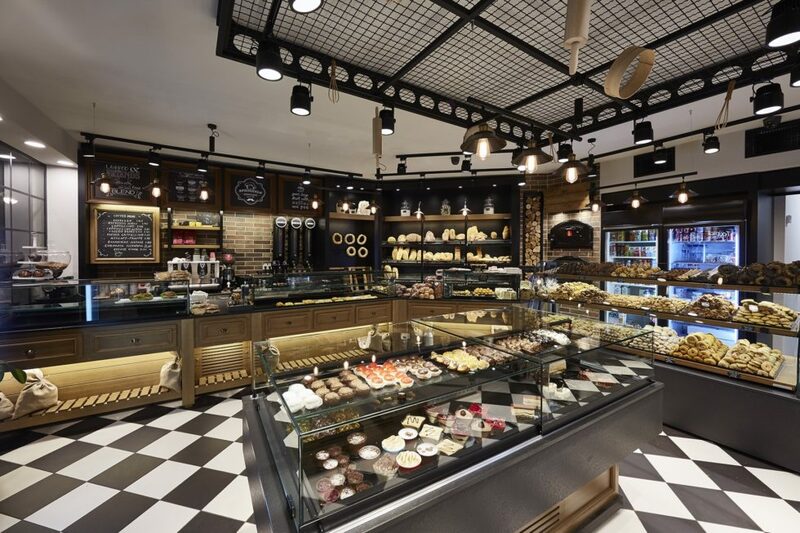 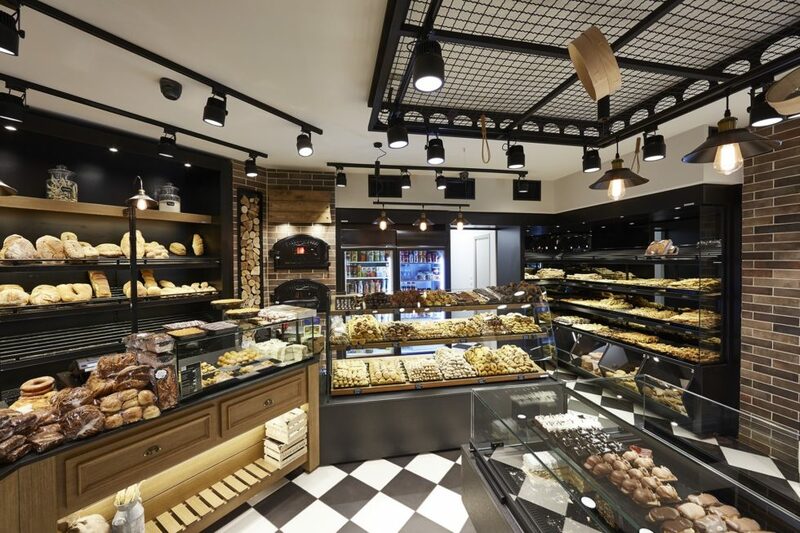 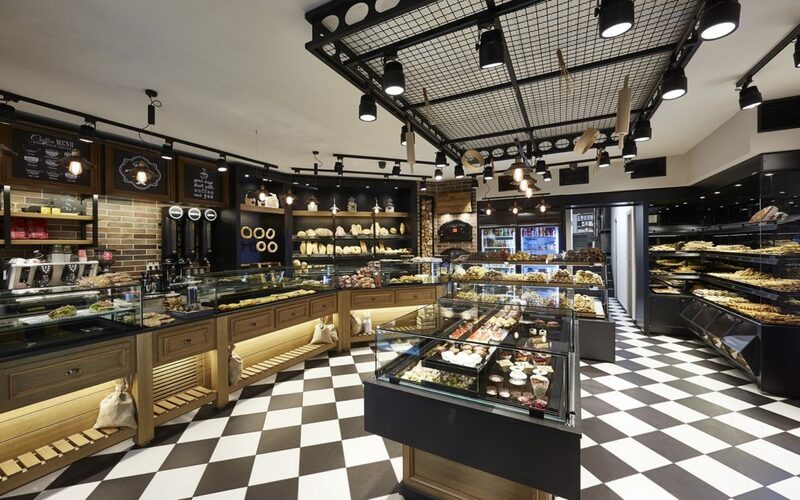 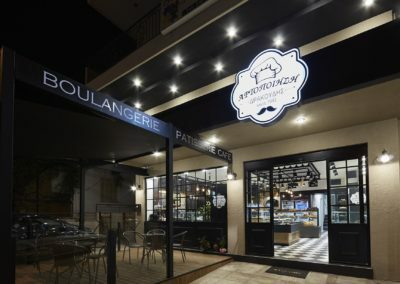 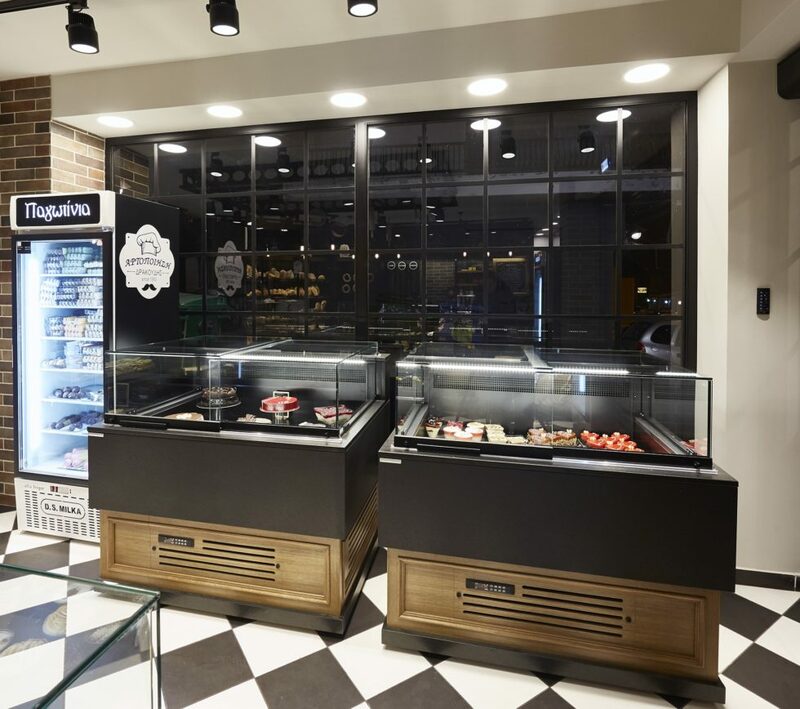 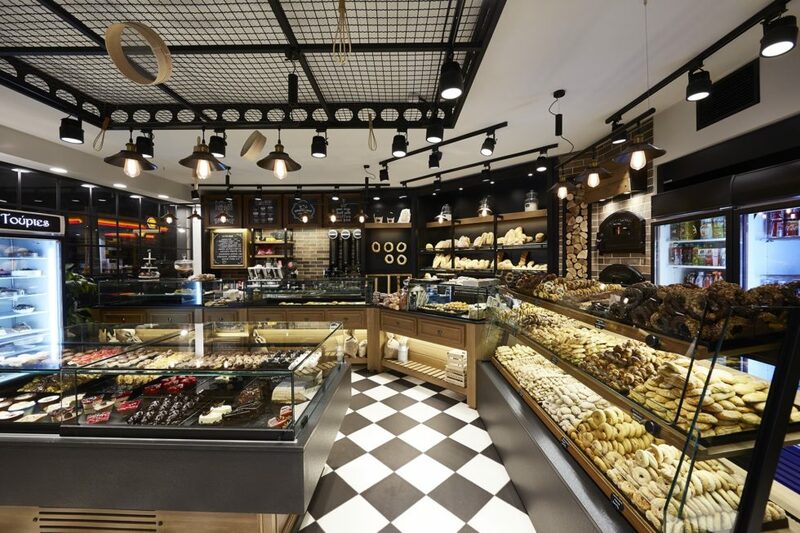 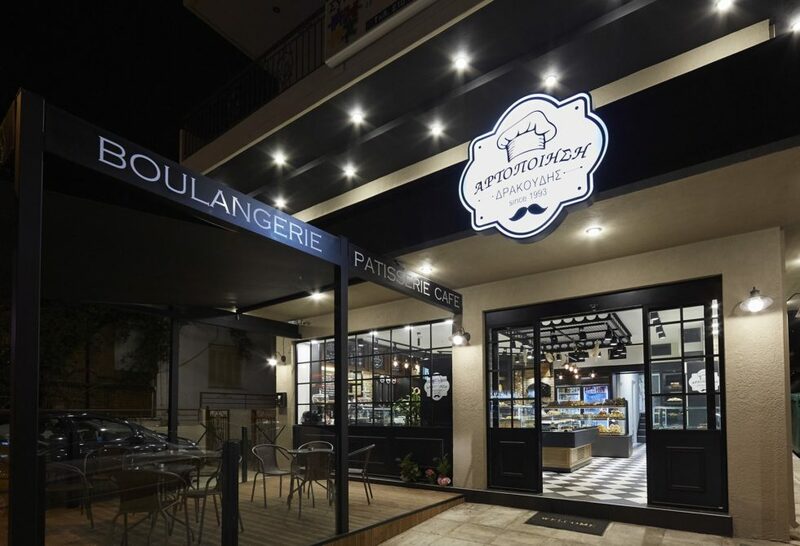 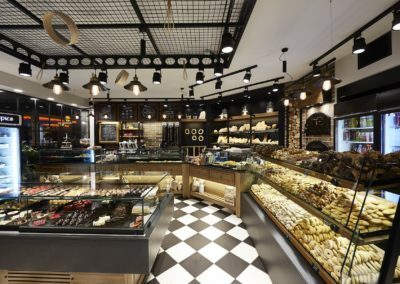 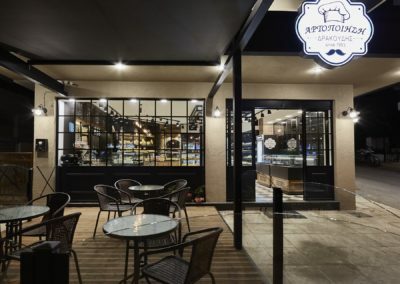 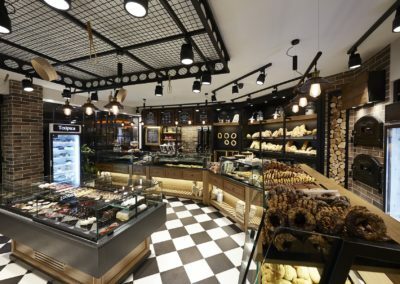 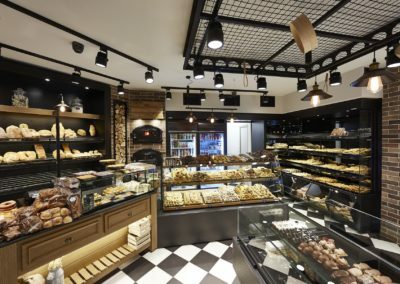 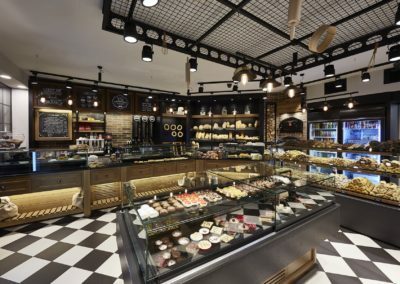 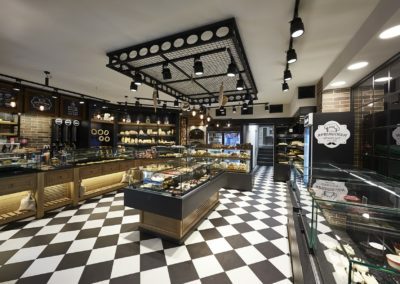 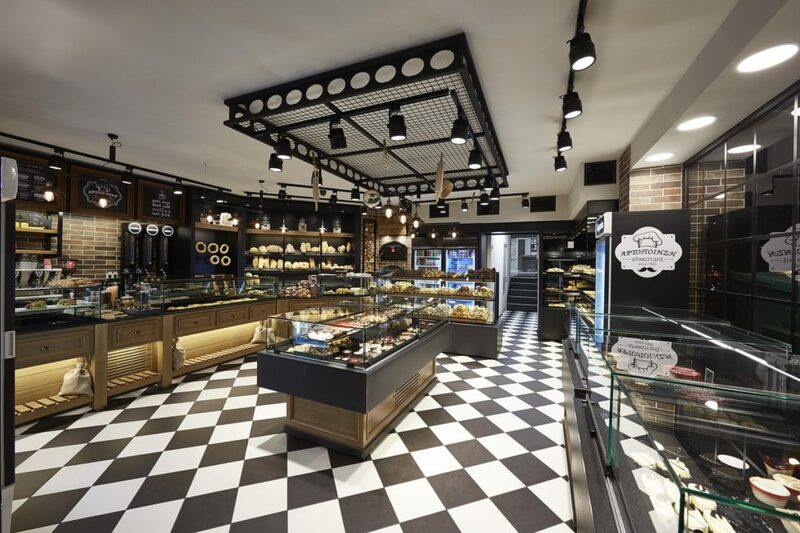 New bakery-confectionery store DRAKOUDIS BAKERY opened in Ag. 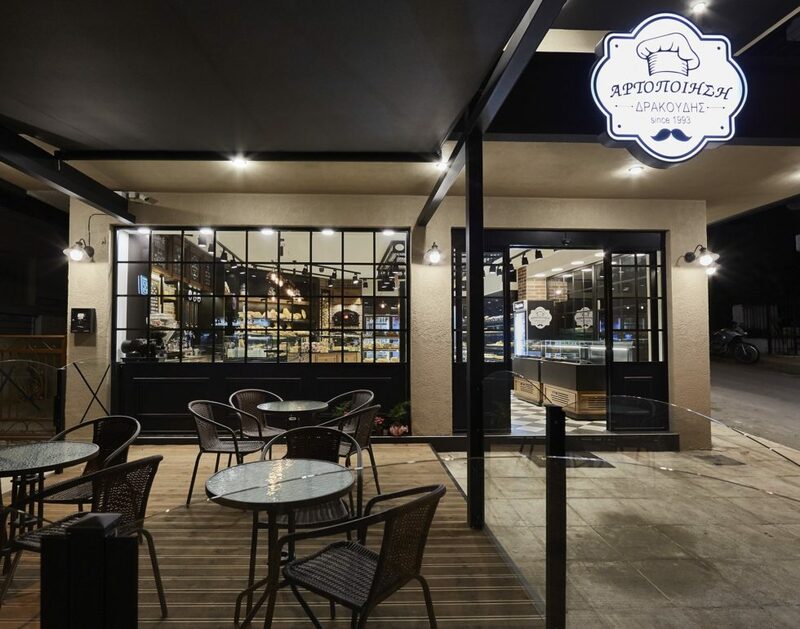 Dimitriou area under the supervision of D. Antonopoulos SA. 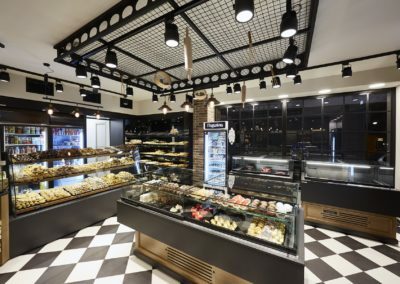 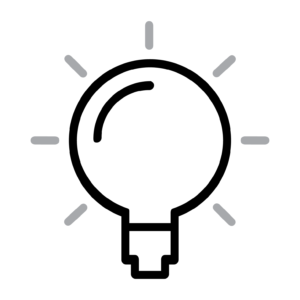 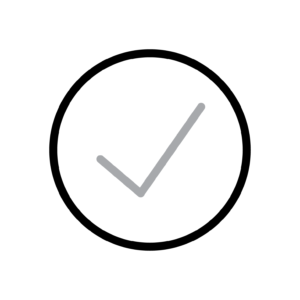 The study of the space and the attentive design of the equipment are to account for this aesthetically appealing outcome. 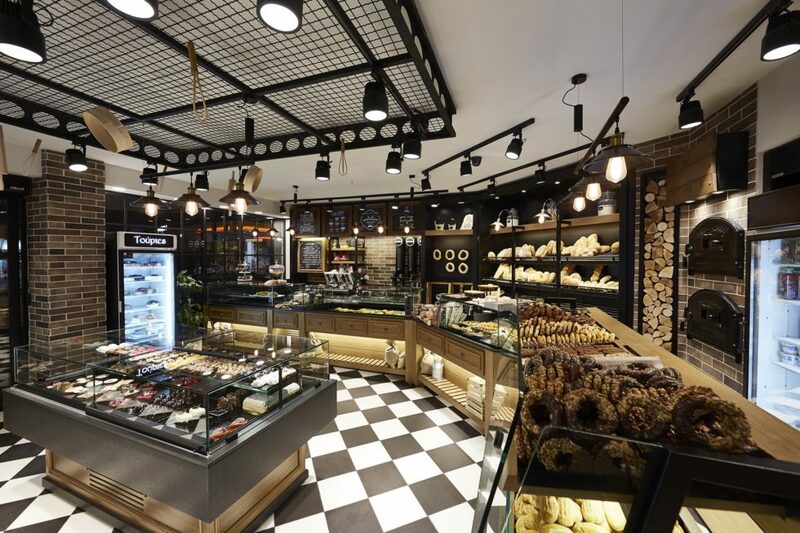 There you will enjoy a wide variety of pastries, impressively projected through the vitrines lit with interior LED lighting and decorated with wooden panelling and antique black granite. 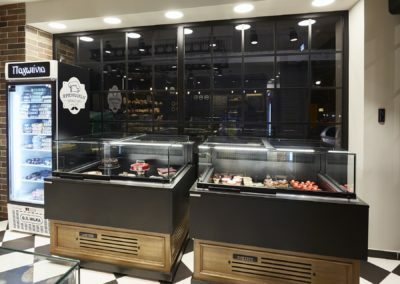 The wall surfaces are brick-panelled, nicely combined with the retro type decorative tile on the floor.